Located away from downtown Lahaina to the north on Ala Moana Street, you can find the Lahaina Jodo Mission. This mission is one of the most beautiful and serene places in Hawaii and one which should not be missed. 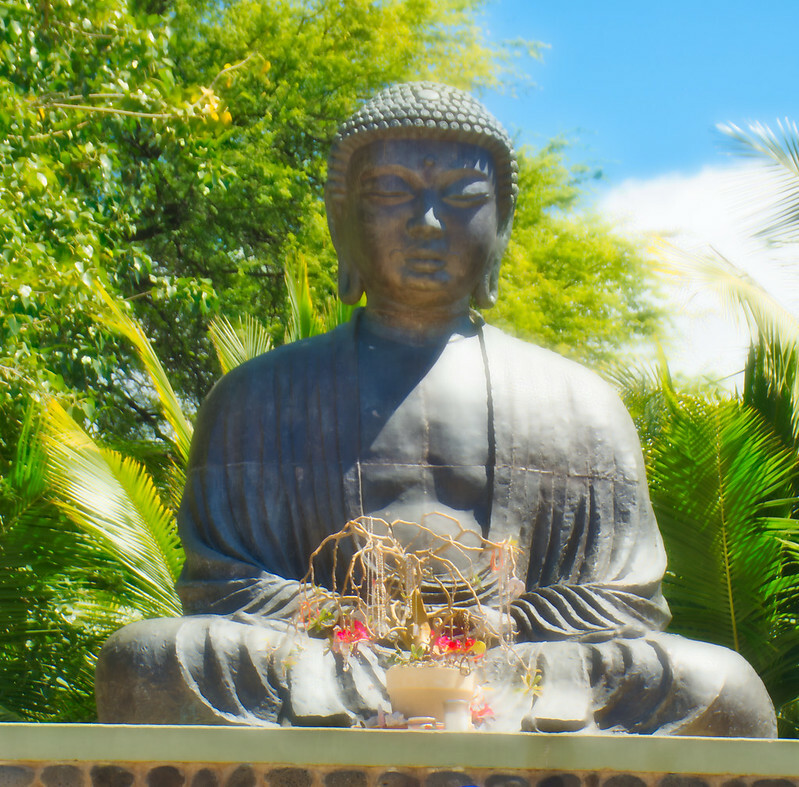 Years ago (1912 – moved in 1931), the members of the Lahaina Jodo Mission conceived the idea of building an authentic Buddhist Temple, complemented with the symbolic surroundings that are typical of the great Buddhist temples in Japan. This 12 foot tall copper and bronze statue of Amida Buddha is the largest of its kind located outside of Japan. Originally cast in Kyoto, Japan in 1967-1968 it weighs approximately 3 1/2 tons. The Great Buddha was completed in June 1968 as commemorative project for the Centennial Celebration of the first Japanese immigrants to arrive in Hawaii. The statue was restored in 1997 by Mrs. Masao Omori in memory of her late husband. Image published by Kirt Edblom on 2019-04-02 19:33:54 and used under Creative Commons license.